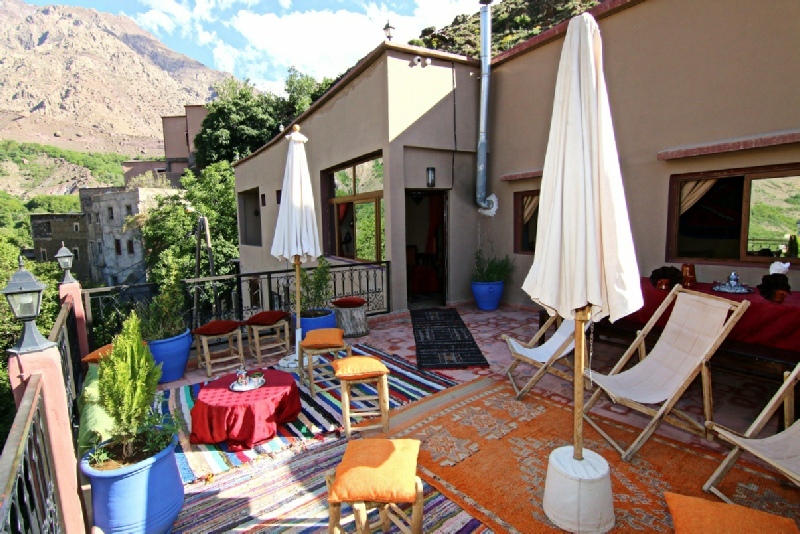 Offering a restaurant, Riad Atlas Prestige is located in Imlil. Free WiFi access is available. 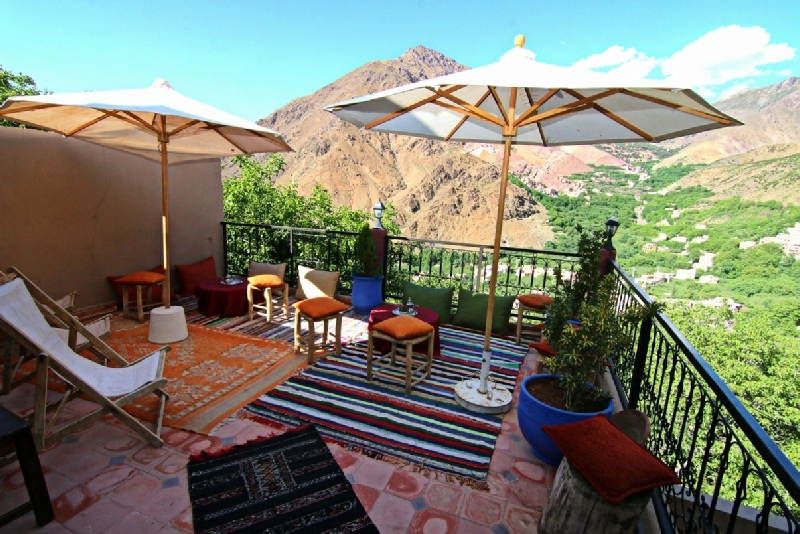 At Riad Atlas Prestige serves a daily continental breakfast. 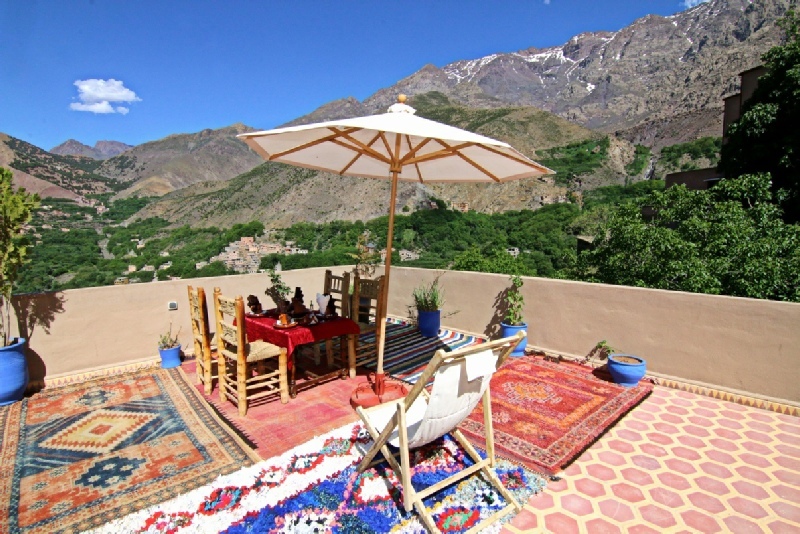 And dinner, can prepare, on request, Moroccan specialties to be enjoyed in the dining room .
" 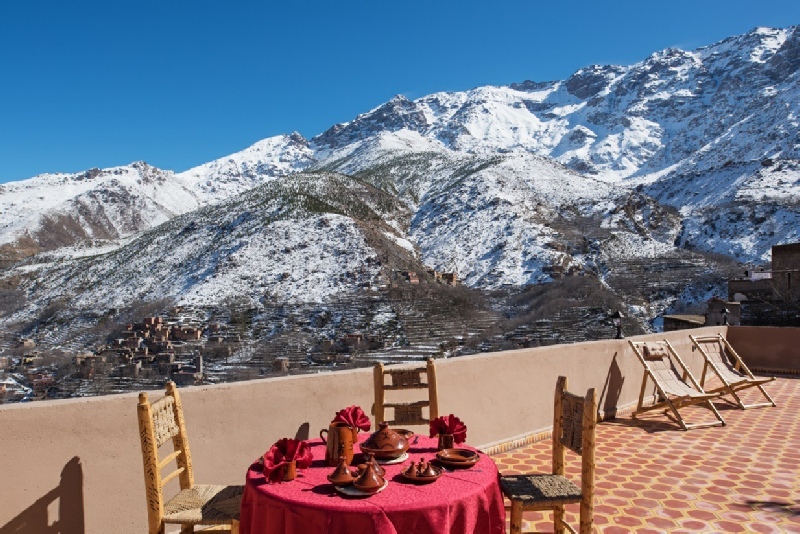 We sincerely hope your stay at Riad Atlas Prestige will be a unique experience and that you will long remember genuine Moroccan hospitality." 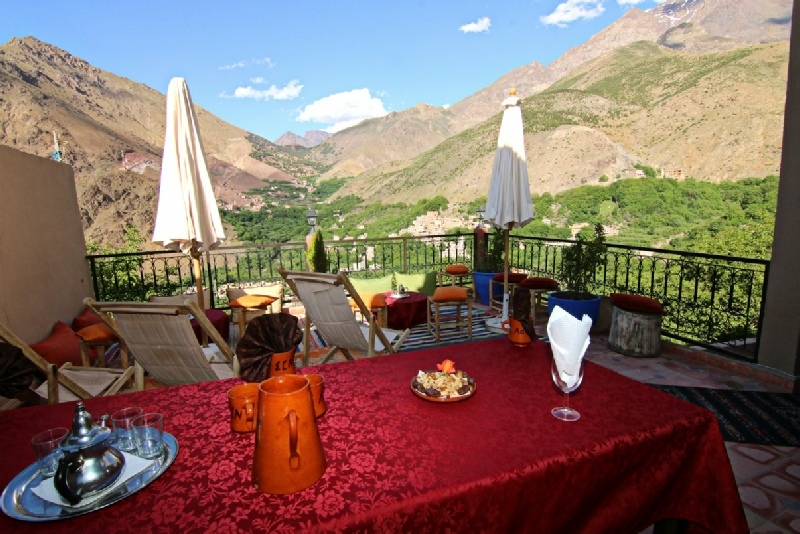 – Riad Atlas Prestige Management. 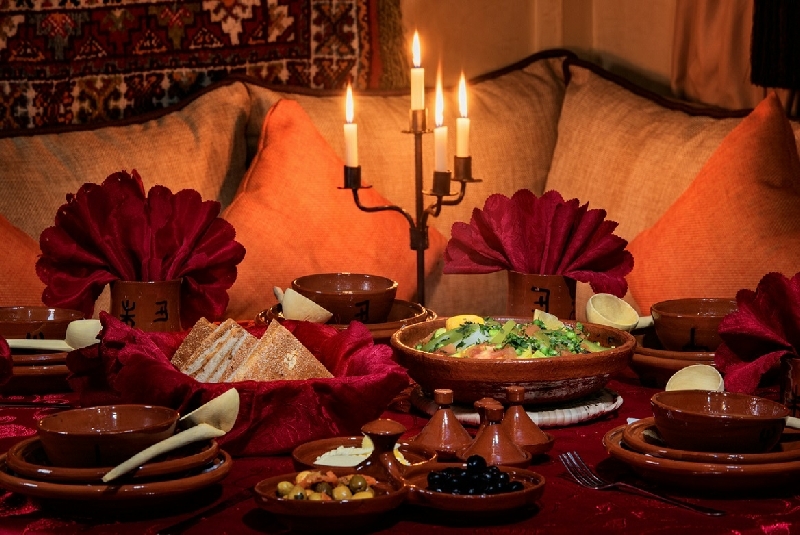 Traditional Moroccan Meals available every day. 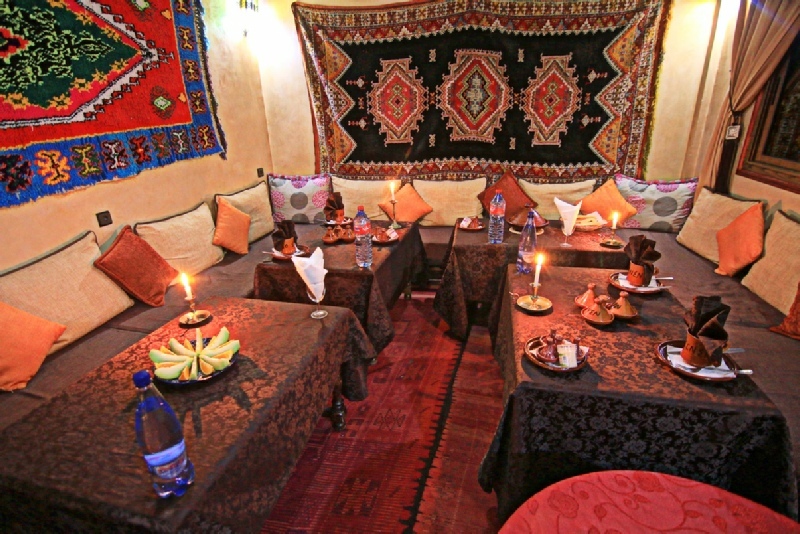 Meals cost 8 euros per person per meal for the menu 3 courses. 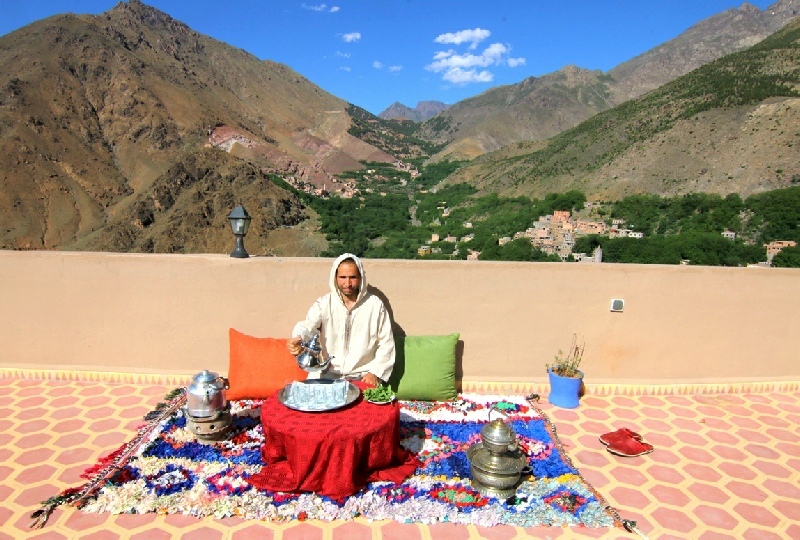 Offering a traditional Moroccan restaurant, located in Imlil. 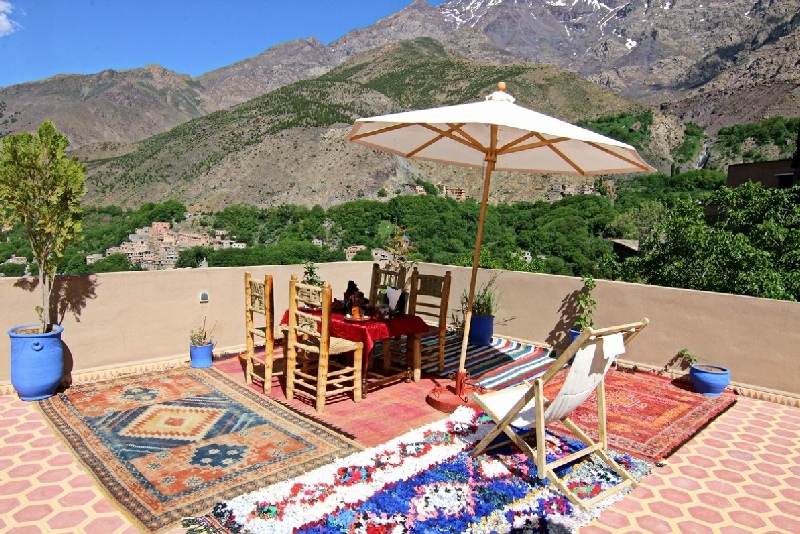 Enjoy Tajine ,couscous and other meals. 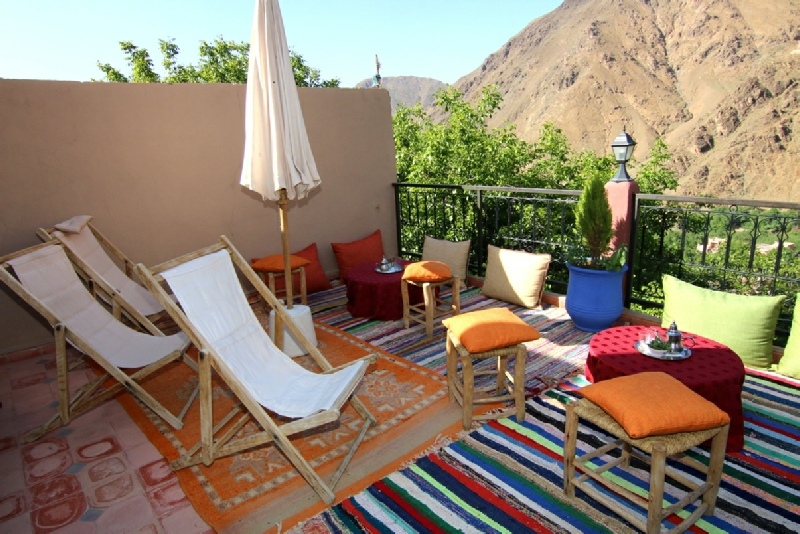 We offer to our guests a rare blend of traditional Moroccan hospitality and modern amenities. 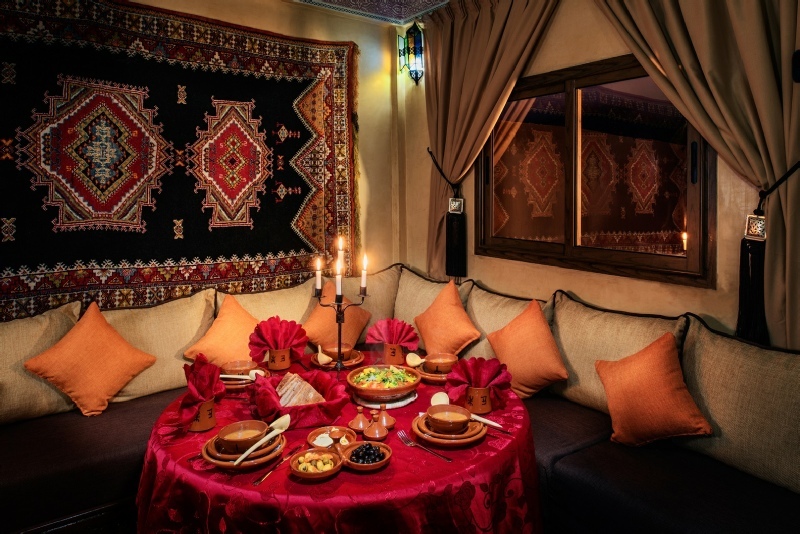 Riad Atlas Prestige looks forward to the opportunity of making your stay with us a comfortable and memorable one. 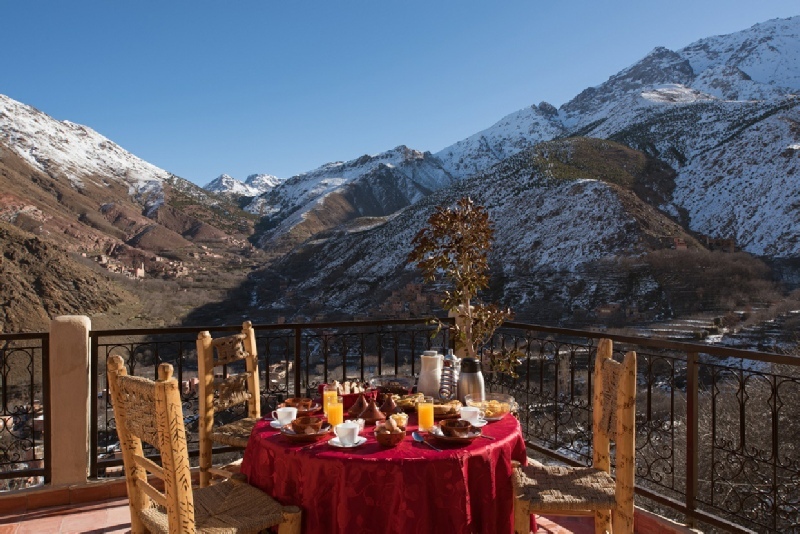 Have a Breakfast, Lunch meal or dinner at the Terrace with Amazing mountain view.